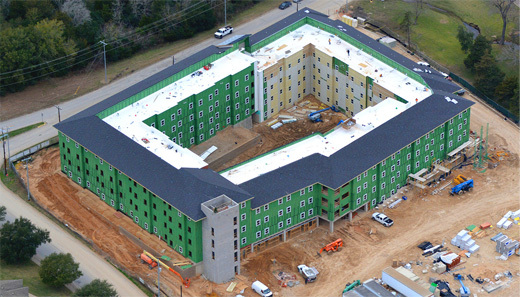 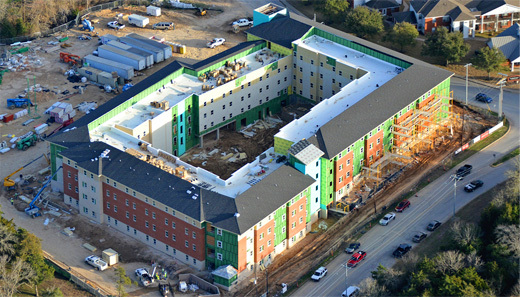 Blinn College’s new residence hall, Mill Creek Hall, will consist of 464 beds arranged in suite-style units, with bathrooms in each unit. 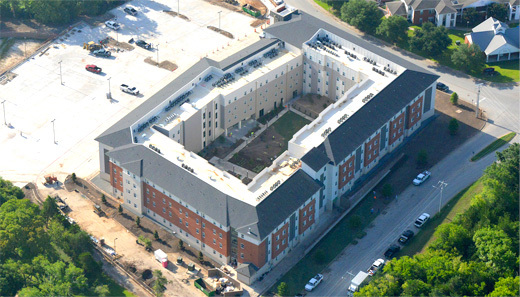 The project will also include approximately 9,000 square feet of common space including study space, an outdoor courtyard, and a large state-of-the-art engineering classroom. 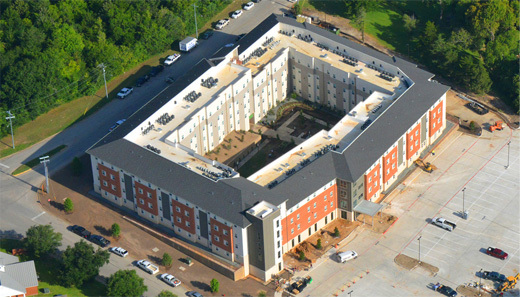 Currently valued at $34 million, the project began construction on June 1, 2017 and will open in the fall of 2018.